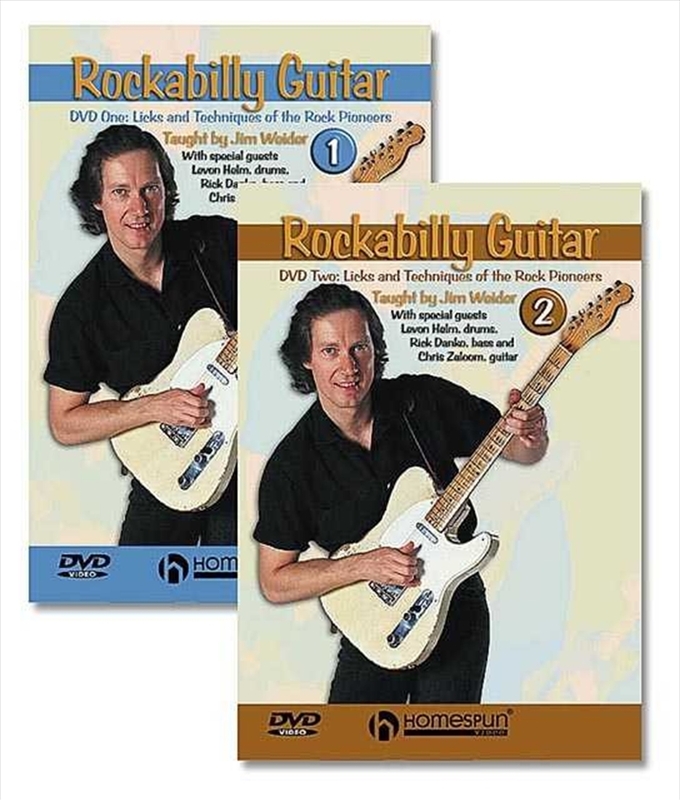 On the Rockabilly Guitar DVD, Jim Weider the lead guitarist for The Band, teaches the wild, freewheeling guitar licks, techniques, and rhythm patterns of the rock pioneers, using the original guitars and amps of the '50s and '60s. Lessons include tips on solos, scales, and exercises, plus instructions for using whammy bar, amp tremolo, Echoplex, and more. In the first DVD, Jim teaches the country fingerpicking Scotty Moore used on Elvis Presley's early hits, shows how Duane Eddy got his twangy sound, and highlights how Paul Burlison's single-string lead work influenced Jimmy Page, Jeff Beck, and others. In the second DVD, Jim analyzes and demonstrates the great trademark licks and rhythm patterns of Chuck Berry and the innovative solos of Eddie Cochran.